Science, Technology, Robotics & Lego Learning Fun! Play is an important part of a child’s life, and with good reason - there are few better ways to explore the physical laws that govern the world around us. RoboMindTech helps children build intuition about key STEM principles, and develop strong critical thinking skills that will benefit them for the rest of their lives. Join us to create exciting STEM projects ranging from animation and video game design to robotics and coding. Our developmental programs for ages 4-18 are numerous, successive, and progressive. We groom novices and experienced students, transforming them into highly skilled and passionate innovators! Build an amusement park or play sports in the Robot Olympics! Channel your child’s creative energy into fun STEM projects with our unique, hands-on curriculum. 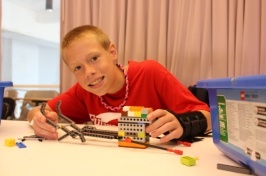 From robotics, video game design, and coding to Lego creative play, we offer a variety of immersive week-long summer camps and studio sessions. Students can attend half and full day summer camps or weekly studio sessions in an afternoon or evening. 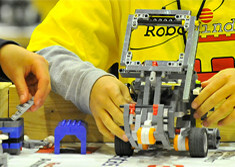 RoboMindTech develops STEM programs and robotics competition training, mentors award-winning robotics teams, runs year-round STEM camps, and actively connects students, staff, and local partners to the international STEM community.